Last year is gone and next year is far off, but THIS year is young. THIS is the year to write your book. Do You have a love story to write? Perhaps you have a love story to heal? Then this is your show! We will dive into his book: Safe to Love Again: How to Release the Pain of Past Relationships and Create the Love You Deserve By Gary D. Salyer, Ph.D If you have struggled finding, holding or maintaining deep, safe and long lasting love in your life, you may be very surprised at the reason. It's not because you've been jinxed. You DESERVE to have a long-lasting deep love. But everyone has a "love style" that plays out throughout their lives, according to Salyer, an underlying subconscious approach to love. These are not learned traits. They are manifested from "permissions" or "rights" that our infant selves did or did not acquire in the first year of life based on what we internalized and perceived from the actions of our parents, says Salyer. Those six rights are: * The Right to Exist * The Right to Have Your Needs Met * The Right to Separate and Belong * The Right to Create Your Own Experience * The Right to Assert Your Voice and Choice * The Right to Love and Be Loved And it all depends on how you are wired! Salyer's eye-opening and insightful book cites case histories of his clients, his own experience, a body of research called attachment theory and years of client successes that have proven how the absence of these rights consistently attract and create specific types of love experiences. Debby examines the number one reason that people do not write a book. . .fear that it won't pay off. New authors are very focused to sell their book and be known to the world. And many fear that such a dream is too big, and therefore, there's no reason to write the book. Listen during the hour-long program as Coach Debby explains three reasons why YOU should begin your book now! 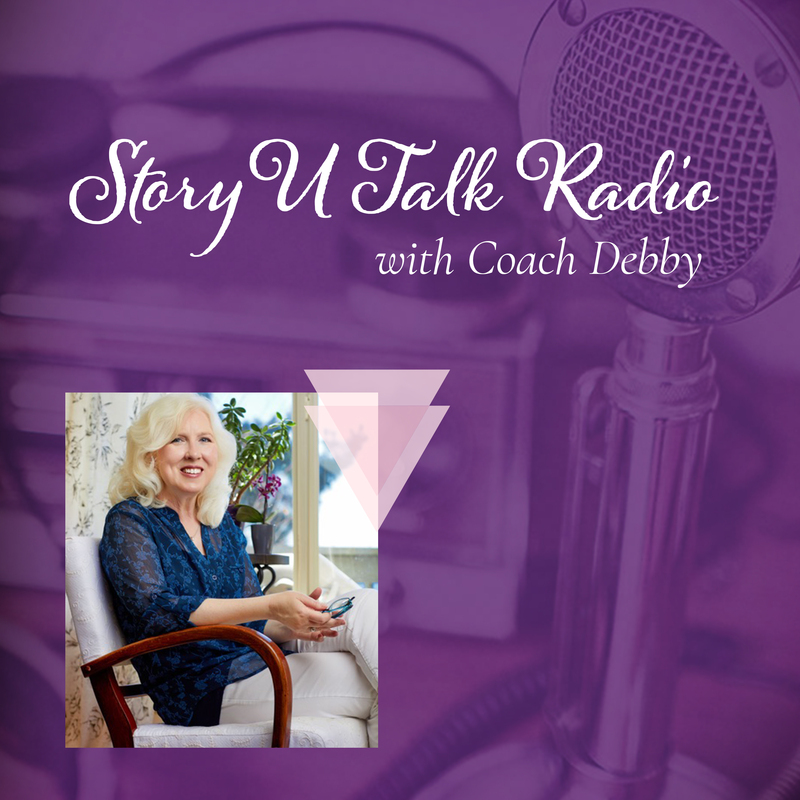 Story U Talk Radio grew out of Debby Handrich's desire to bring listeners and authors together over the topics of writing, spirituality and transformation. Each week, Story U inspires an inquiry of the stories we live by, such as our love stories, our financial stories, family stories, and personal awakening stories. So much of the conversation is about discovering the real YOU in order to live peacefully and, just maybe, to pick up the pen and write your book. Each week, Debby and her guests encourage listeners to join in the collective effort for positive change. Debby Handrich, MA, began her career as an Associate Professor of writing before adding psychology and spirituality to the mix. Her mentors include Alan H. Cohen, Robert Holden, and Pema Chodron, and she's deeply inspired by Joseph Campbell, John Bradshaw, and so many brilliant writers of fiction, poetry, and mysticism. Debby's mission is to inspire and coach individuals to find their voice and write their book. She has coached writers who have escaped their homeland, overcome addiction, and transformed their lives after loss. She has helped entrepreneurs claim their brand and soar as speakers. Previously the producer and co-host of Life Mastery Radio, she and Todd Alan interviewed over 300 authors and thought-leaders. Debby's known in the Seattle area as a friend, writer, and mentor. She's been teaching and speaking for 25 years and now is heard on Alternative Talk 1150 and on PodcastOne, one of the nation's premier podcast providers. Her podcasts can also be found on iTunes and Tune In. Being Present to our Messy Imperfections with guest- Kelly McNelis Kelly McNelis is the founder of Women For One, a global community that empowers women to embrace their voices and make life happen on the their terms. With over 20 years of experience as a nonprofit and small-business consultant, Kelly has empowered generations of women around the world to build relationships, community and personal confidence in their businesses. Kelly travels the world and speaks to audiences about embracing our imperfections and how to uncover the messy brilliance that allows us to thrive! Check out her book: Your Messy Brilliance: 7 Tools for the Perfectly Imperfect Woman (and men will enjoy the tips as well). In April, Kelly will be featured in the Entrepreneur of )! Magazine. We'll discuss her Truthteller Tour, her retreats, the imperfections of our days, and whatever is on your mind. Check out below how to send in your questions, AND.... LISTEN IN AND YOU COULD WIN A DISCOUNT FOR HER UPCOMING RETREAT! Writing through the tricky, sticky, dark, and scary Guest Sunny Joy McMillan You know her from "Sunny in Seattle" on KKNW's Friday morning show, but what you might not know is how her amazing book, Unhitched: Unlock Your Courage and Clarity, and Unstick Your Bad Marriage has transformed HER life. Yes!! Writing a book reaches thousands and sometimes millions of readers, but writing also creates sticky, tricky, dark and scary terrain for the writer to navigate. You hear that writing "frees us!" -- Sunny's story is a testament to that -- but writers who create work to transform lives are literally re-connecting with their subconscious to get permission to share. Not for the faint of heart but not an impossible journey, either, as you will learn from our conversation! Sunny shares openly about her "perfect-looking life" and how it REALLY felt. Have you been there? Have you had an image that exuded success and an interior world that looked like a train wreck? We will talk about such incongruity on the show! Remember, to write about such journeys requires enormous faith and courage, yet we cannot forget the tenacity to COMPLETE the actually book and let it be birthed into the world. Hence, where many writers have (for good reason) backed up or walked away, Sunny persevered! Listen in for her powerful story of transformation. Coach Debby talks poetry with renowned poet Ed Harkness. Debut show on KKNW. Coach Debby discussing the concept of Real Love.